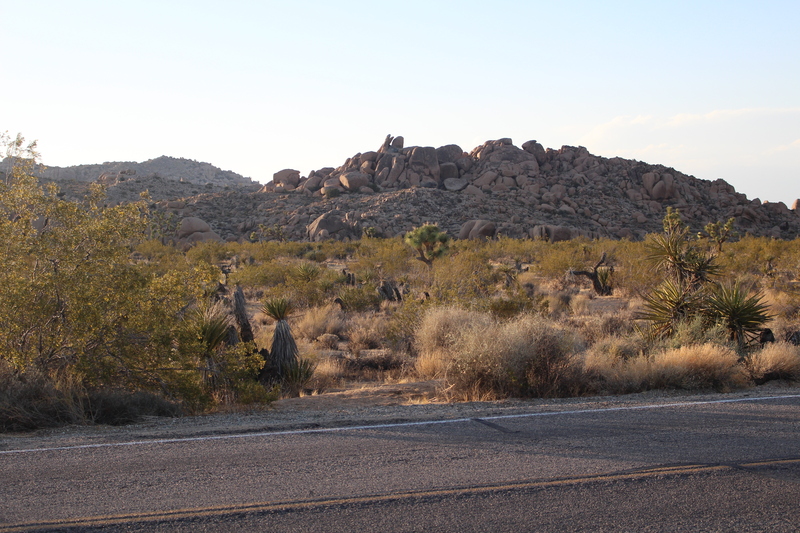 4 hours away from my parents’ home located in Surprise, Arizona is a remarkable place in the vast Mojave Desert. 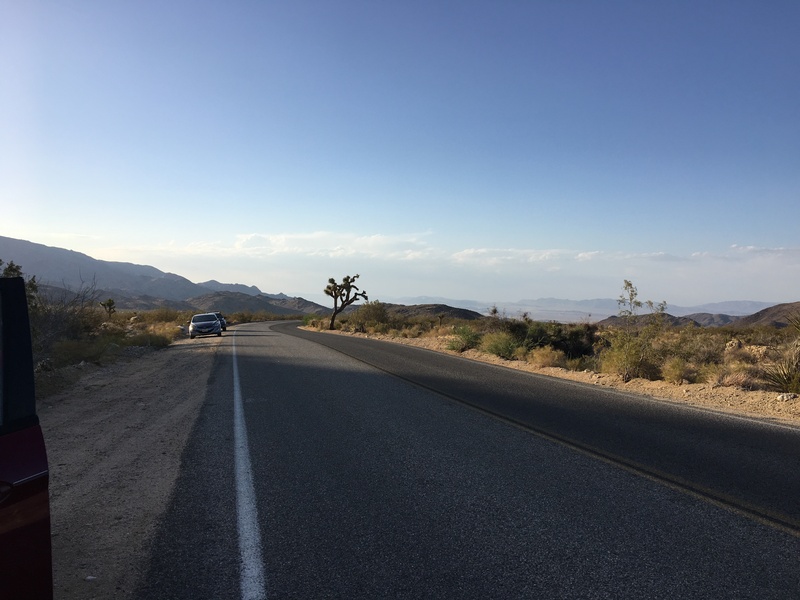 This road trip led us to the Joshua Tree National Park located in Twentynine Palms, a city in the neighboring Southern California. 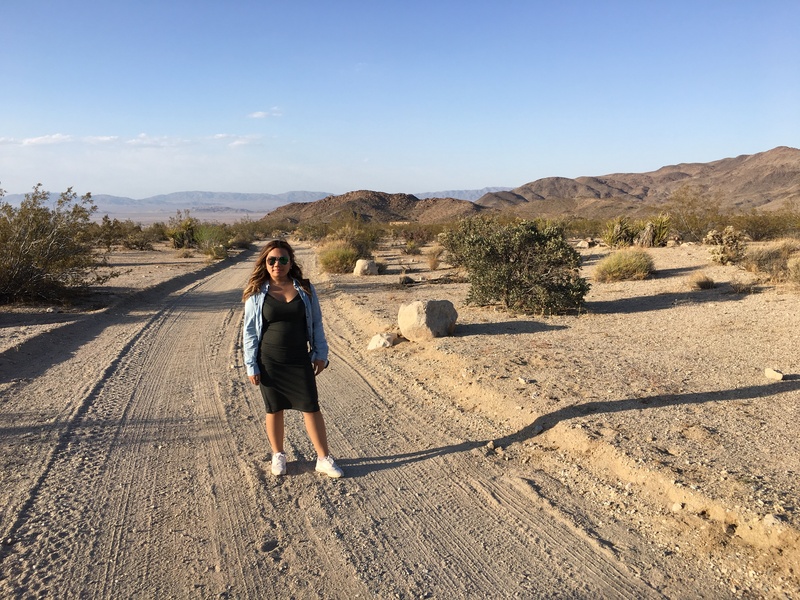 It’s been 5 years since the last time I was in California and it’s no doubt that California is a state full of wonders; in fact to a lot of people I have talked to, many people have stated California as being their favorite state. 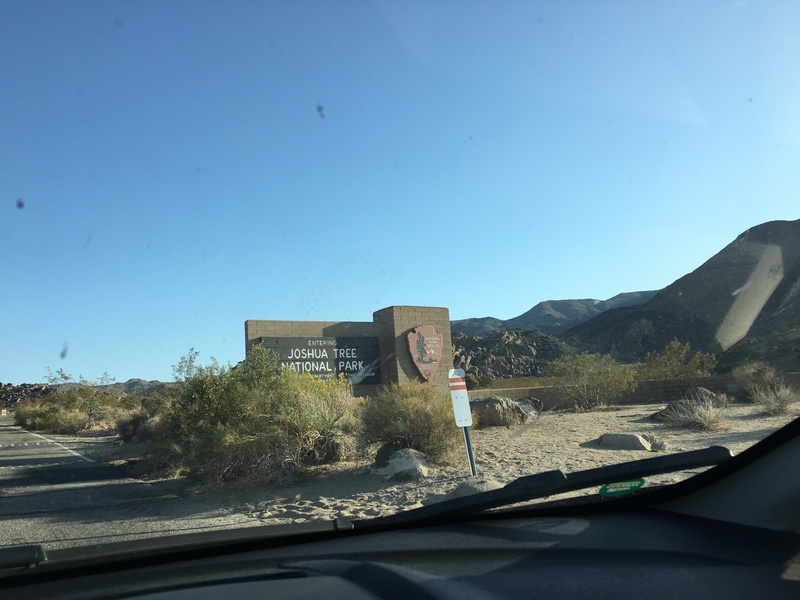 Since I’m planning to explore more national parks this year, Joshua Tree National Park is an explorer’s dream and it is a vast protected area with its elevation mostly above 4,000 ft. Slightly larger than the state of Rhode Island, you can find the famed Joshua Tree, also known as the yucca palm, around there. It can grow up to 40 ft and can survive up to 1,000 years! 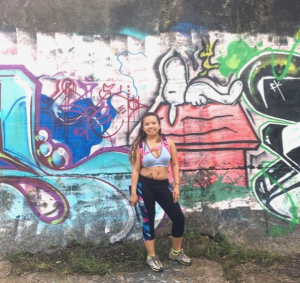 (Take note guys, if you really want to see within history, always go look for them in nature artifacts first — therefore, this national park is the visit for that!) 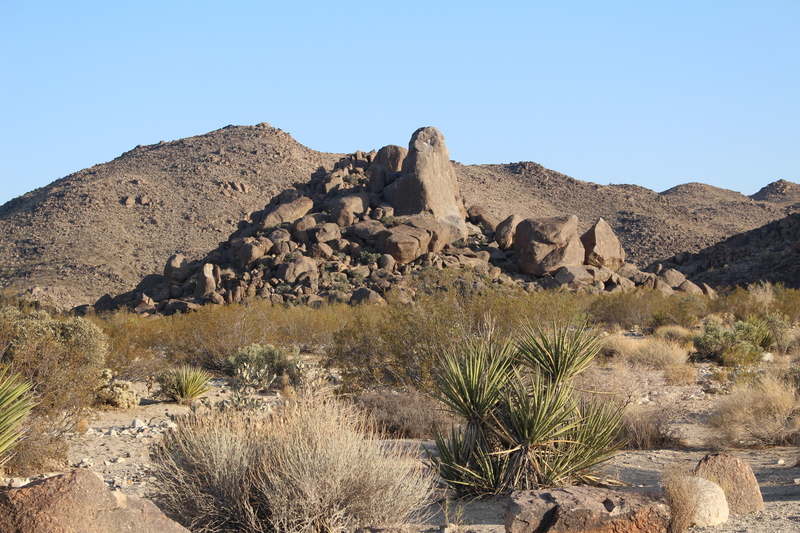 The park also features rugged rock formations and mountains, desert plains, and exotic desert plants. 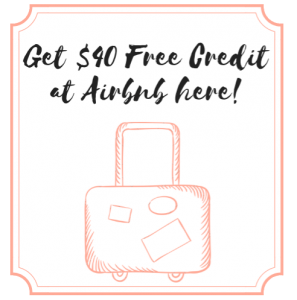 This Southwest, Old Western getaway is a stop that you’ll never forget. 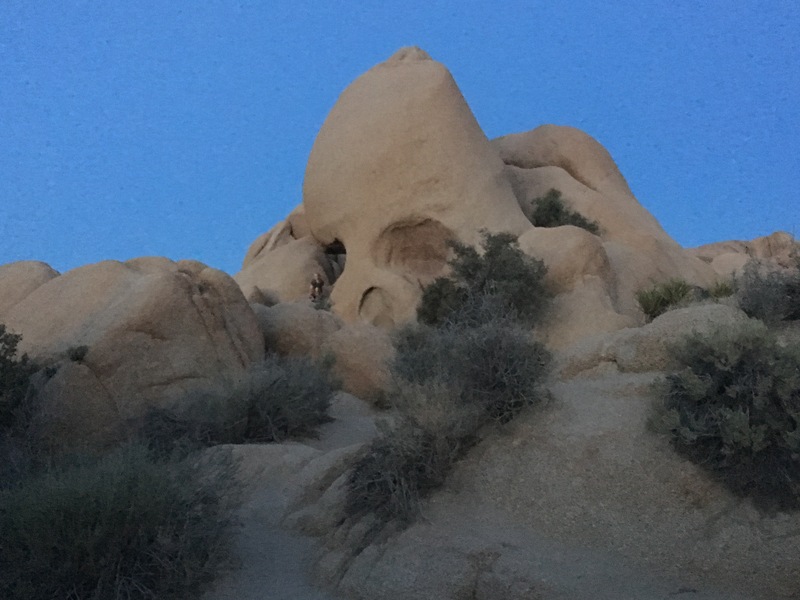 There are so many places to hike around the park, so many rocks to climb on, and so many trees to be surrounded by. 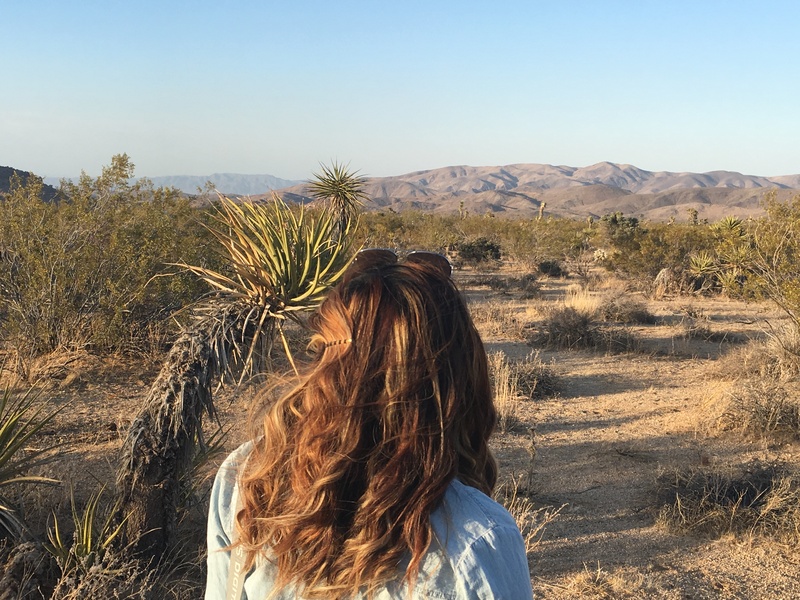 If you’re looking for the ultimate desert park, this is it. 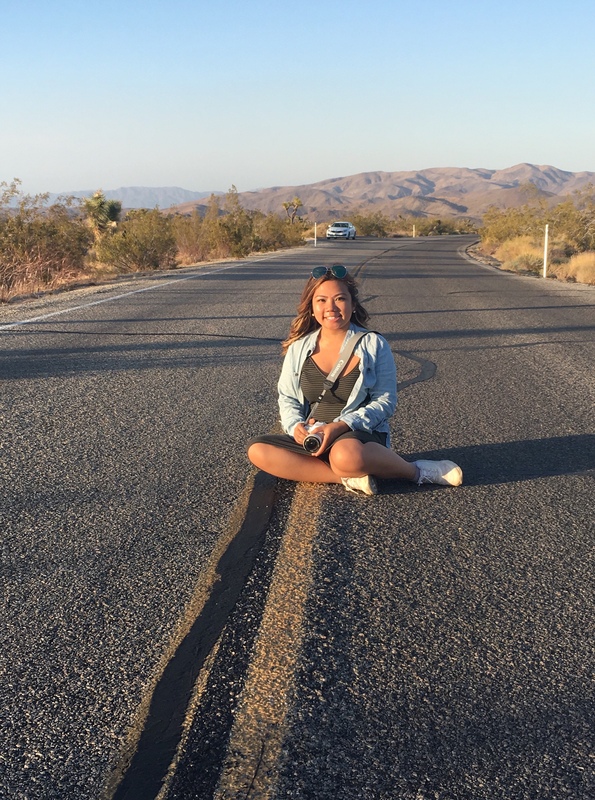 For the past years since I’ve spent vacations at Arizona, I fell deeply in love with the desert and what they offer. 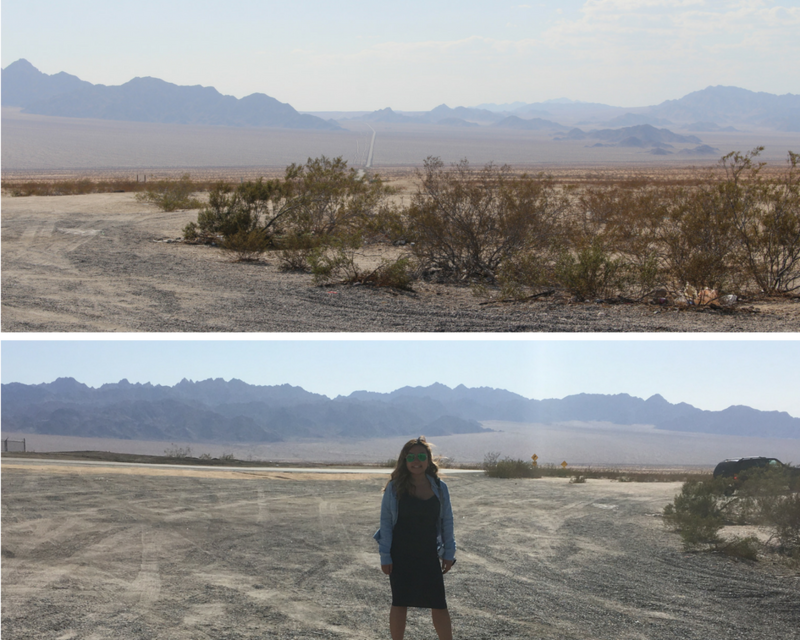 I find that deserts defines what it’s like to be so small in places so huge and never-ending. 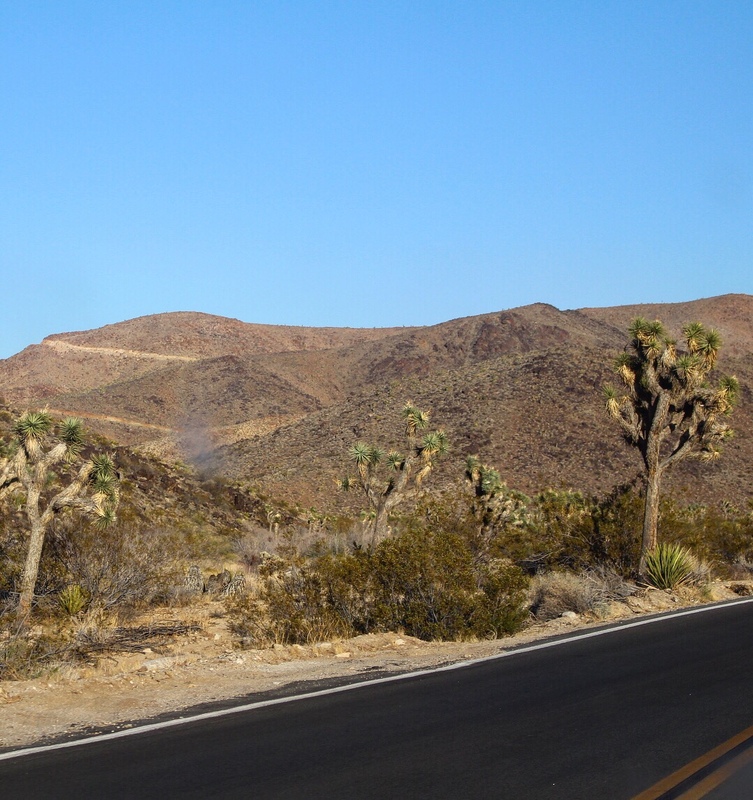 Getting to Joshua Tree National Park from Arizona requires you to travel through Blythe, California then to Wonder Valley, the ultimate experience to feel like you’re never going to end up anywhere as you keep on driving but don’t be discouraged because that’s the matter of the truth for travel sometimes: going through other places before you reach your actual destination. 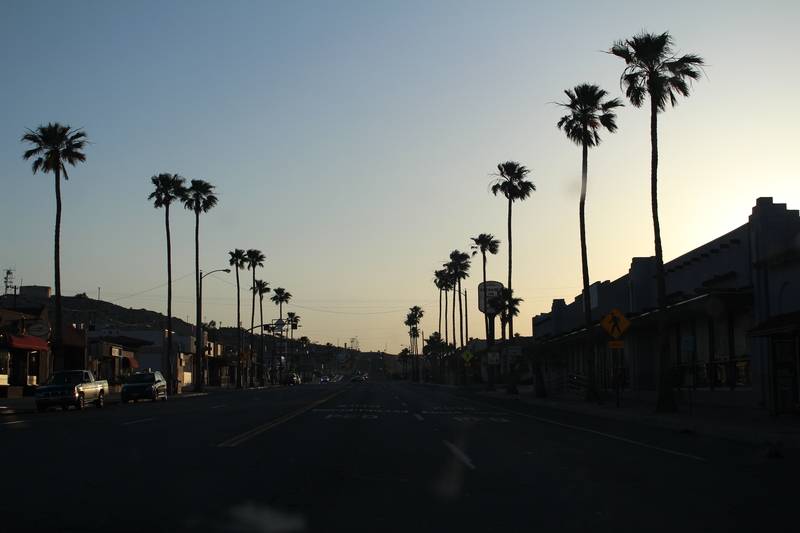 However, that’s what makes the journey all too fun especially for those who absolutely enjoy road trips! 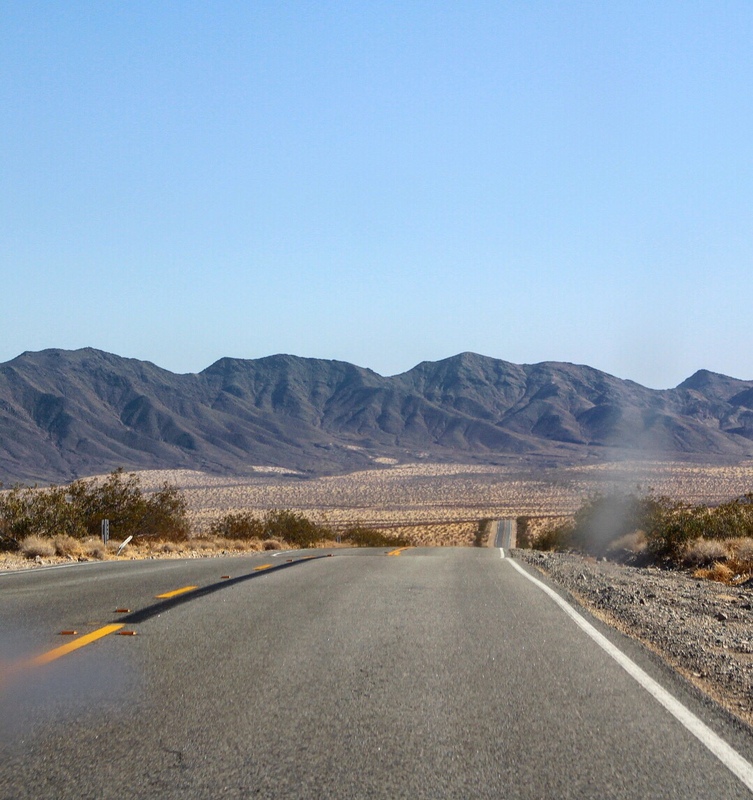 Wonder Valley seems like a scene right out of the movie when a traveler gets lost in the middle of nowhere but the mountains surrounding you in every corner are out of this world. They are so tall and so distant that you can see the details of all the ridges and curves of each one so well in the light of day. You can see open pathways between the mountains. 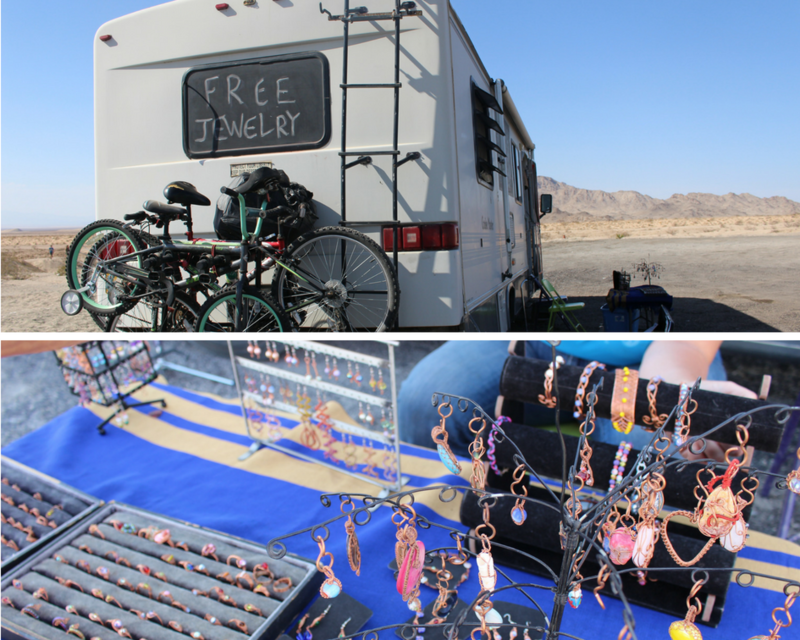 In the middle of the highway, my parents and I saw a van that was stopped and we thought it was just another highway vendor selling jewelry, but as we walked up and met the family behind the van, they were giving out free jewelry or what they call the #FreeJewelryProject. We asked why were they giving away such beautiful handcrafted pieces for free and they said, “Because not everyone can afford beautiful jewelry.” The kindness of these people were moving and everyone should always be encouraged to do some acts of kindness. 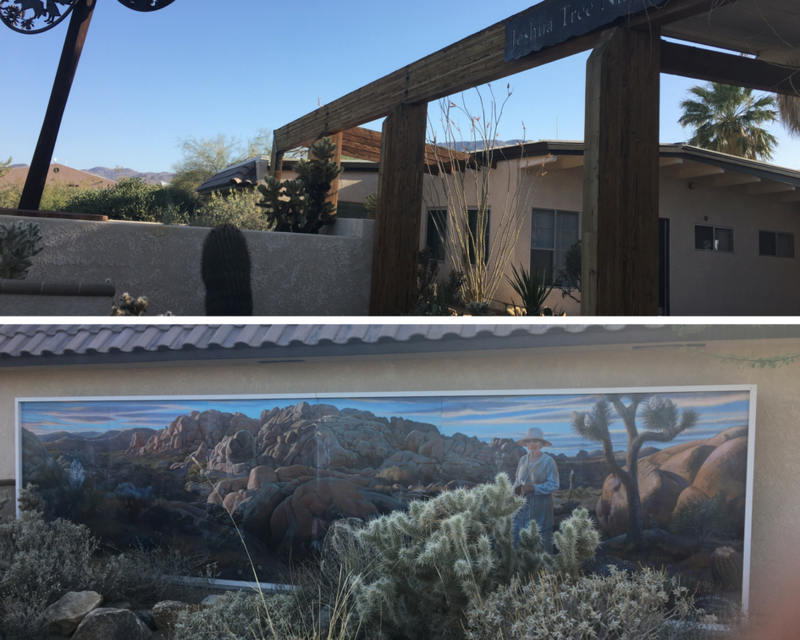 When we finally arrived to the city of Twentynine Palms, we stopped by the Visitor’s Center first, which was closed by the time we arrived, but we grabbed a map. 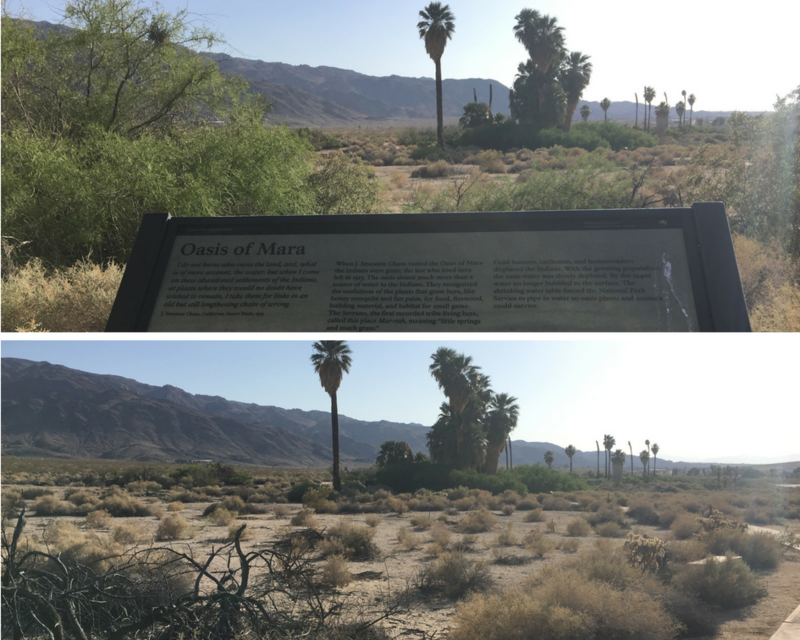 Also, behind the Visitor Center, we saw the “Oasis of Mara” area, an exhibit of an oasis and nature trail where Indian settlers settled in and where miners and cowboys all used. Not far from the Visitor’s Center, you can enter the park. We did not pay to enter the park since I think it’s open to the public without paying for an entrance fee at a certain amount of time (highly recommend if you want to save). 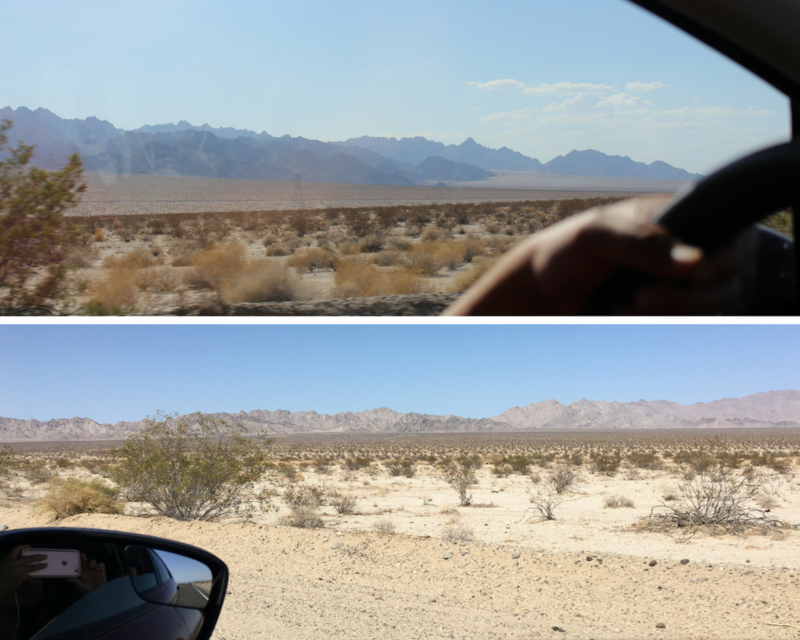 We drove around the curved dirt roads in the mountain and kept gaining elevation as we kept driving by. 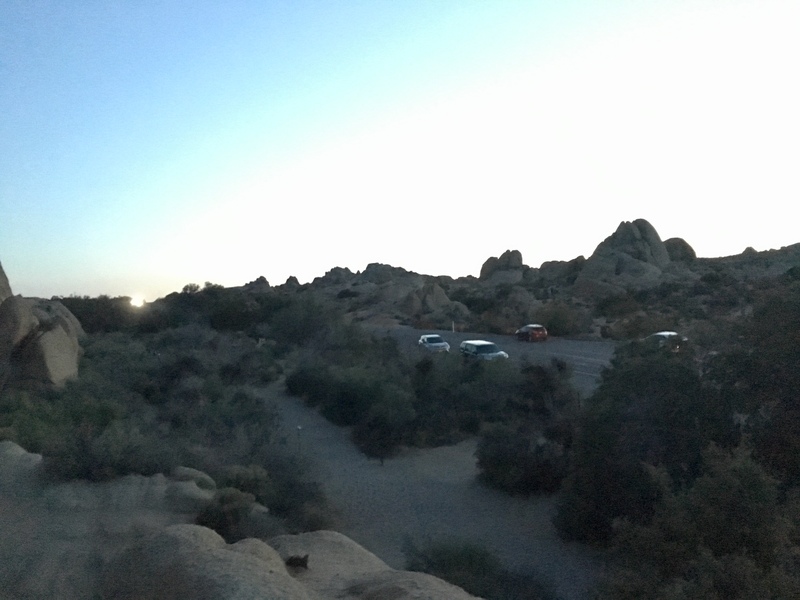 We stopped by outside our car a couple times to look at the city view from below, the trees and desert plants, and the hundreds of stacked boulders around. 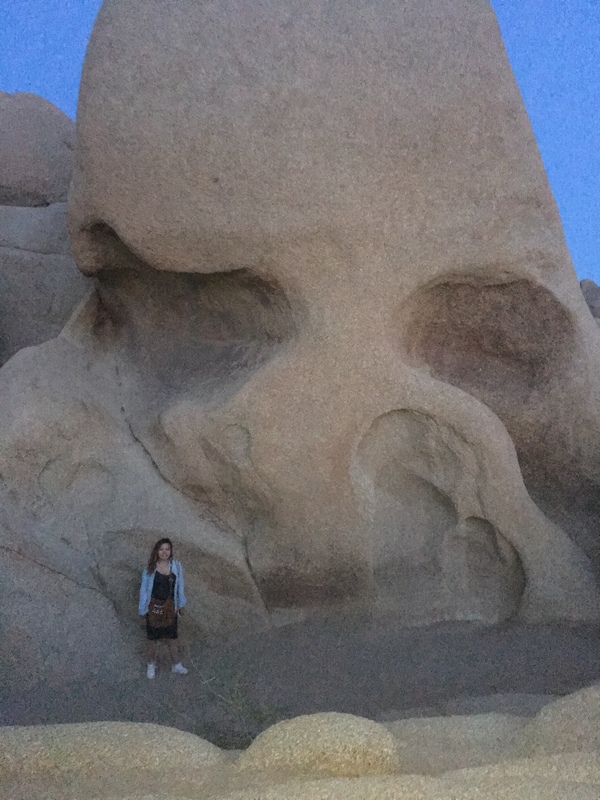 One of the coolest finds of that night was the Skull Rock, a huge boulder rock that really represents a skull’s face. On the same night, we drove back 4 hours home (personally, I would’ve stayed one night over there but we all agreed to save on a hotel room). 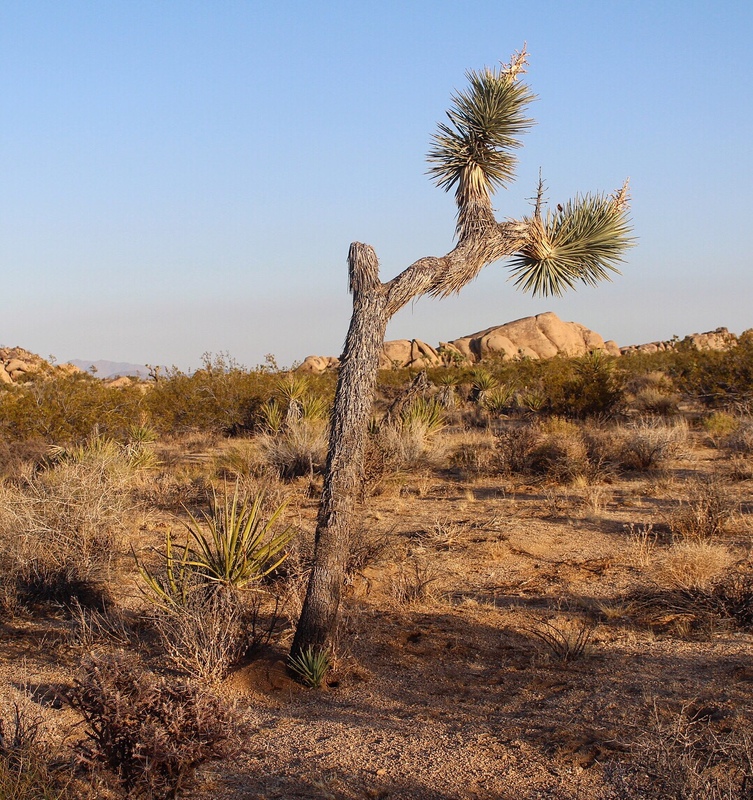 Although the park seems lifeless, it is far from that — there are rattlesnakes, tarantulas, lizards, eagles, vultures, coyotes, and bobcats, although most of are hidden in sight. 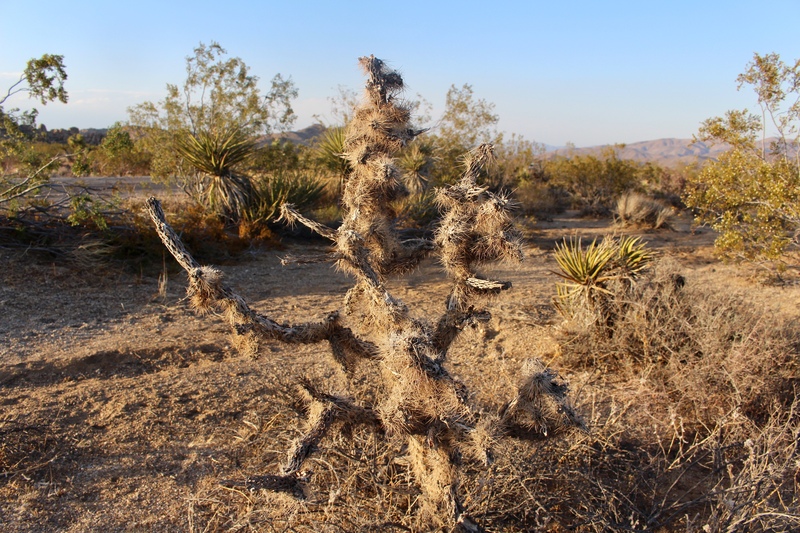 Joshua Tree has a variety of these creatures that call the place home. 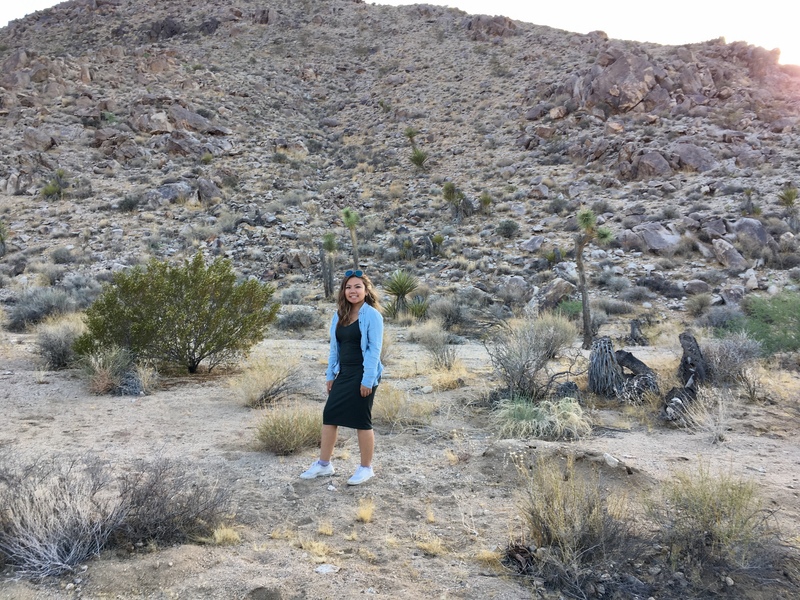 If you want to ever escape from the hustle and bustle of city life in Los Angeles and from central to southern Arizona to feel a monumental grasp of nature, Joshua Tree National Park is it. 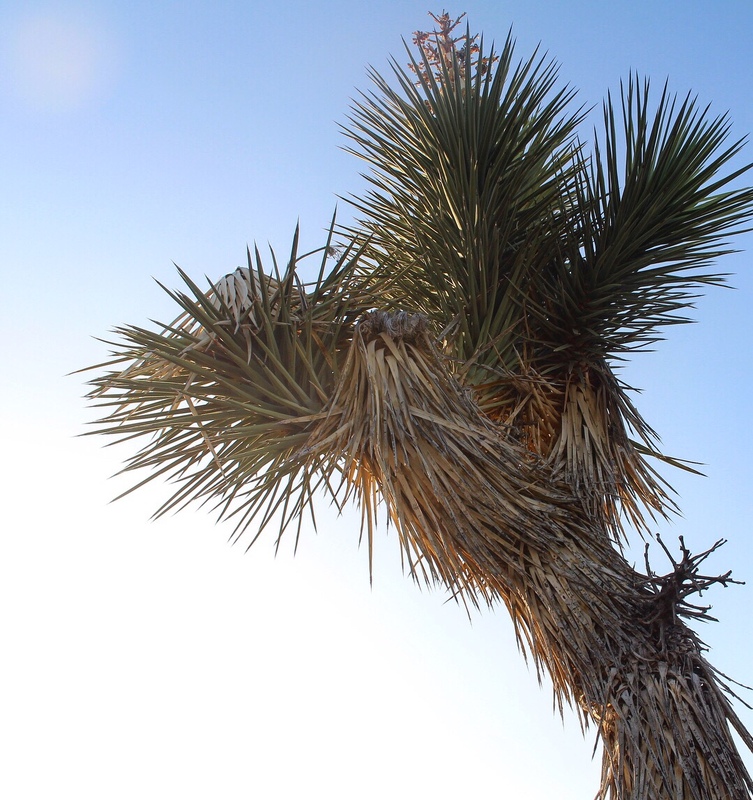 Discover history within your own eyes by looking at these trees and explored areas. 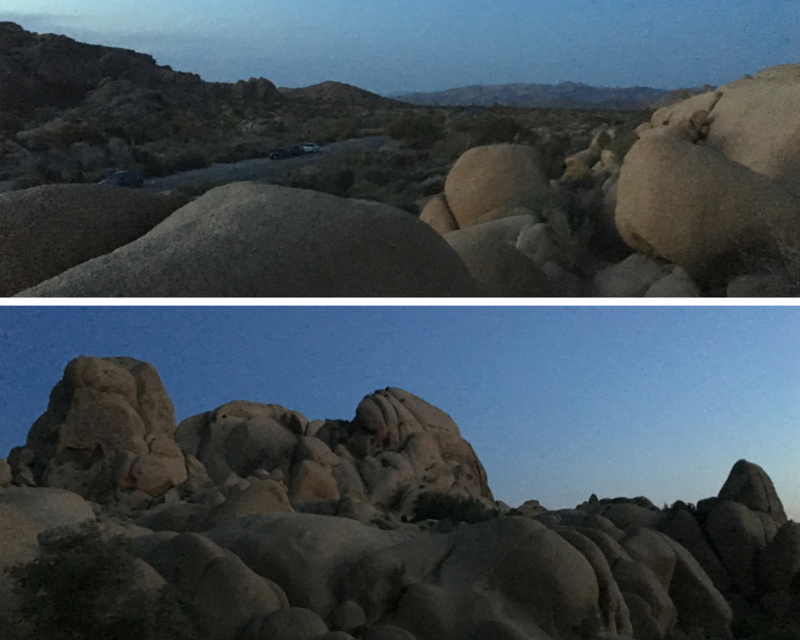 Be one with the outdoors and hike those granite rocks, camp under the bright night sky and stars, or just explore and photograph this grand desert.